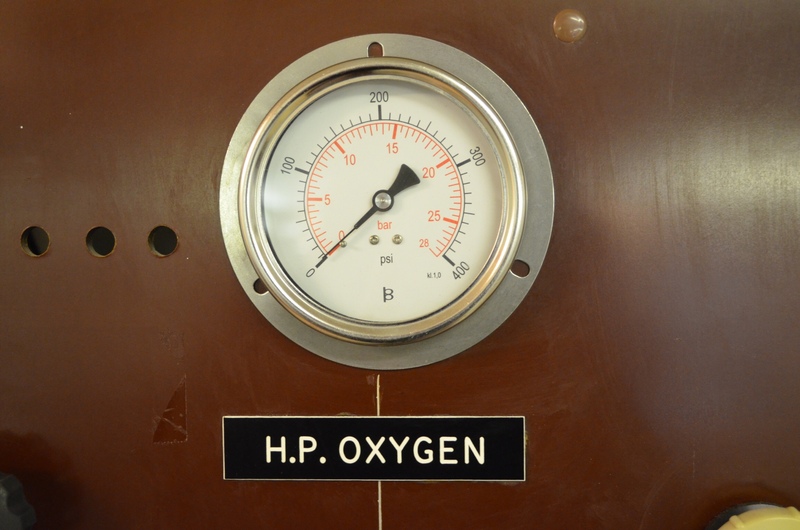 Hyperbaric Oxygen Therapy (HBO) was developed from the experiences of deep-sea divers. Tests have shown that decompression sickness causes similar damage to the nervous system as that found in MS. It has also been found that divers who have breathed oxygen under pressure are often able to recover from illness and injuries much more quickly than would normally be expected. It was therefore a logical step to use a compression chamber in the treatment of MS.
'Hyper' means increased and 'baric' relates to pressure. Oxygen (O2) is one of the gases in the air that we breathe, and is essential for life. Normally, oxygen makes up just over one fifth (21%) of the air that we breathe. 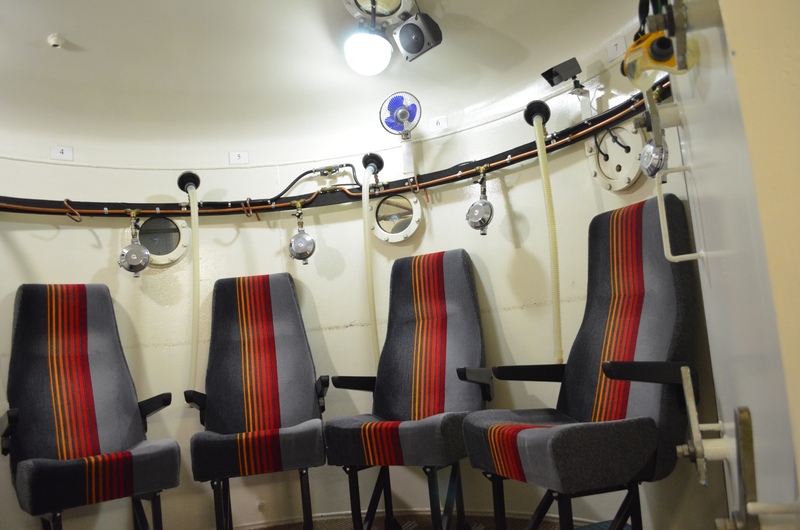 The therapy basically involves breathing through a mask whilst inside a pressurised chamber, similar to that used in diving, we have two chambers each one holding up to seven people. A treatment plan is followed usually consisting of 15 sessions, each one lasting an hour, over the course of a month. This is followed by 'top up' sessions which may vary from once a week to once a month. This allows the oxygen saturation within the plasma to be increased to a potentially beneficial level and kept there. At increased atmospheric pressure, oxygen is absorbed into the plasma of the blood at higher levels than under normal atmospheric conditions (even in the veins which ordinarily carry only blood that is depleted of oxygen). This results in a higher delivery of oxygen to all body tissues. The dissolved oxygen is more readily utilised by the body than the oxygen carried by red blood cells. The oxygen is forced into the blood, making its way to any damaged areas of the body that can’t be reached by normal blood circulation or areas where vessels have been hindered by injury or infection. HBO reduces the diameter of blood vessels this not only helps to limit oxygen leakage, but also reduces inflammation and transports the oxygen more effectively. By breathing pure oxygen under pressure many people find relief from their symptoms and, it is thought, some help in slowing down the progression of the disease. Oxygen is the healing element in the atmosphere and by breathing 100% pre oxygen under pressure this allows the extra oxygen to be absorbed into the tissue. It is the scar tissue in MS which prevents meaasages getting from the brain to the limbs etc causing disability. It is an easy therapy, a gentle and non-invasive treatment, although it does require coming to the centre regularly, initially up to 3 or 4 times a week. You sit in the chamber under pressure, breathing pure oxygen through a mask. You can read, play cards or games with others, and communicate easily with the operators. All operators are skilled and fully trained and have access to a Specialist Medical Advisor and a manual to which they work. By controlled pressurisation of the chambers, our trained operators raise the atmospheric pressure to a maximum of 2 atmospheres absolute. This may sound daunting, but it is a simple process and the experience for the person within the chamber is similar but a less drastic experience as that found in take off’s and landings in an aeroplane. Unlike in an aircraft, should any discomfort be felt, our highly trained operators are able to stop the process at any point in the assent or decent. The therapy does not provide a cure but many people benefit from a reduction in the severity of their symptoms and an improved quality of life. In order to gauge the benefit of HBO all new members are asked to complete an assessment at the beginning of treatment. This is then revisited after 5, 10 and 15 sessions of treatment, thereafter assessments are conducted annually. Your assessment will be conducted with respect and in privacy and your details will be kept securely using the principles of the Data Protection Act 1998. Depending on your needs, the level of pressurisation changes after each set of 5 sessions. Each session lasts approximately an hour and a half. All sessions are individually monitored, as is the members’ progress. When rising to the water surface too quickly nitrogen bubbles are trapped in the blood of divers. Understandably new members associate the use of our chambers with water. No water is involved in the therapy process even though the terms ‘dive’ and ‘tanks’ are still used. The pressure used in the therapy process is not as great as that used in deep sea diving and as members breathe pure oxygen there is no risk of ‘the bends’. The oxygen is delivered through an Auro-Nasal mask which the member puts on when the chamber has been gently pressurised. This process takes about 15 minutes. The mask can be removed at any time as the inside of the chamber is filled with air, however without breathing the oxygen, the benefits will not be maximised. At the end of an hour the chamber is slowly depressurised back to normal atmospheric pressure by our highly trained and experienced operators. The complete process takes approximately an hour and a half. For safety reasons, some things are not accepted into the tanks, briefly these include anything that might cause a risk of fire such as battery operated watches, mobile phones etc. Your operator will ensure you use the chamber safely. You are also asked to wear indoor shoes whilst in the chamber and it is wise to bring a magazine or book to read too. HBO therapy is an extremely safe treatment with few side effects, which are usually minor and short lived. We have outlined the most common and less common side effects so that you can be aware of them. If you notice any other problems which you think may be due to the treatment, please discuss them with your nurse or doctor. Blurred vision can occur after having multiple treatments and is due to the development of short sightedness (myopia). The effect usually comes on gradually and then gets better slowly when treatment ends. Temporary use of glasses or a change in prescription may be helpful, but the blurred vision only lasts a few weeks at most. Some people feel light-headed after treatment. This only lasts for a few minutes. Although very rare, damage to the eardrum can occur due to the change in pressure. Before treatment you will be shown how to equalise the pressure in your ears, which can help to prevent any ear problems. The change in pressure may cause discomfort if you have congested sinuses, leading to headaches or facial pain. Usually this can be controlled with decongestant medicine, but occasionally HBO therapy needs to be stopped. What conditions can benefit from HBO? We are a member of the Federation of National Therapy Centres and are in regular contact through Dr Petra Kliempt with Dr. Phillip James, the HBO consultant who is a specialist in Hyperbaric treatment. Dr James produced a document entitled the Wolfson Report. This report is available at the Centre and lists the wide variety of conditions that have benefited from HBO alongside the advised treatment regimes. Our members with MS have found benefit in overcoming fatigue, improved balance and sight, as well as improved bladder control and general well being. Many studies show HBO’s efficacy in treating wounds and ischemic tissue (that is deprived of blood), reducing edema, and stimulating the immune system. HBO is believed to speed healing of soft tissue injuries, aid recovery of stroke victims and in treating many problems - including carbon monoxide poisoning, coma, cancer, burns, circulatory problems, Lyme disease, lung abscesses, difficult wounds, bone infections, hard-to-treat infections (especially those caused by anaerobic bacteria), traumatic brain injuries, and diabetes (preventing non-healing infections and amputations). Cancerous cells do not thrive in aerobic conditions therefore HBO is thought to aid the success of traditional medical interventions.